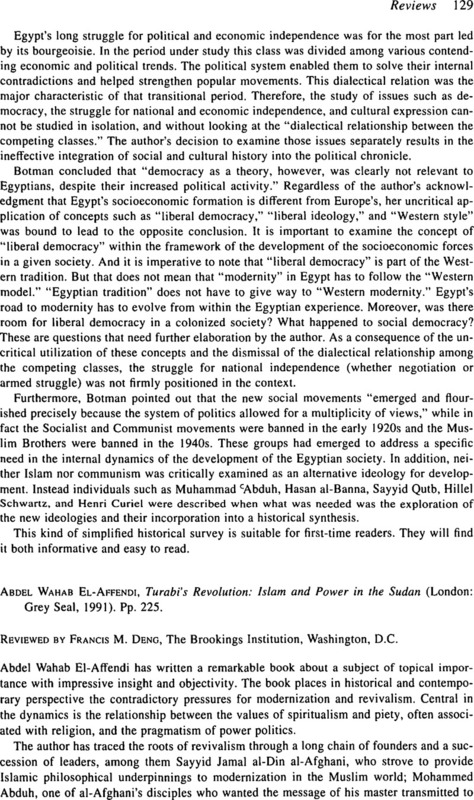 Abdel Wahab El-Affendi, Turabi's Revolution: Islam and Power in the Sudan (London: Grey Seal, 1991). Pp. 225.